Categories > Off Topic > What are you playing? 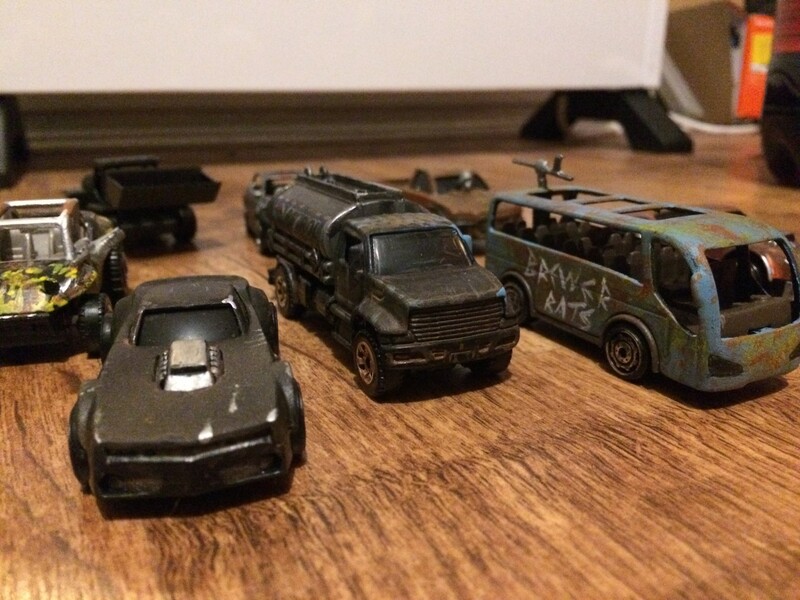 I haven't played it yet, but I've been making some cars for Gaslands. 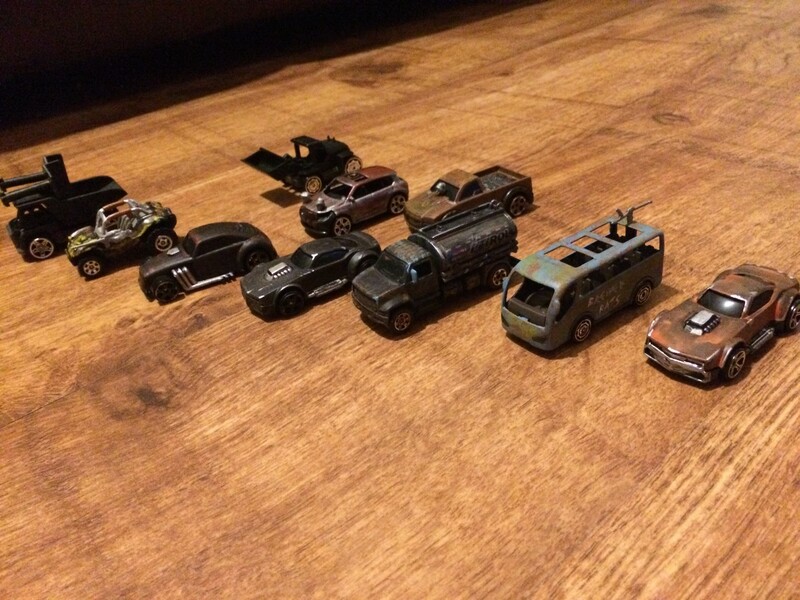 A friend wanted me to show him how to modify matchbox cars for the game, so I gave it a go. It's interesting that the game notes you can use it for just about any momentum-driven movement scheme - like an Artemis game? Looks cool. I have been playing Ark for Xbox. That game is a time sink! Those cars are awesome, Mark! 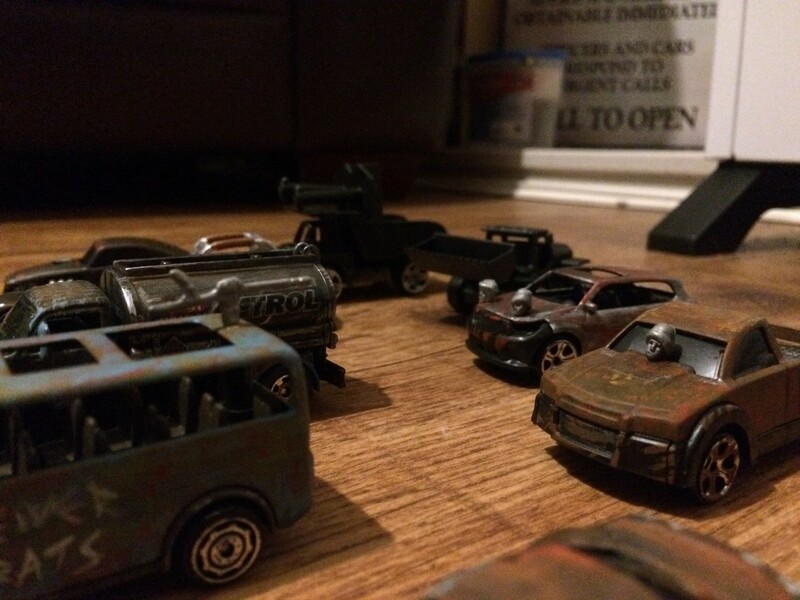 I need to get my Matchbox, Hot Wheels, and Johnny Lightning cars ready for the apocalypse! 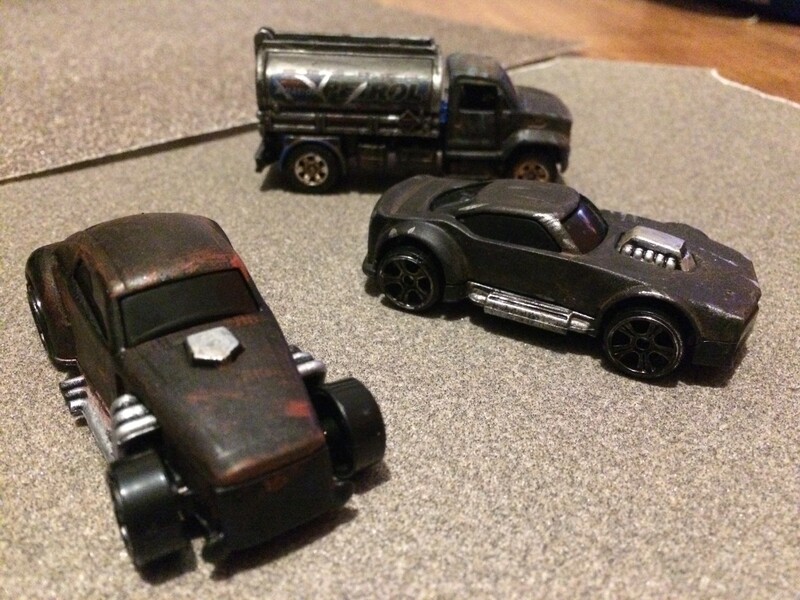 Funnily enough, I'm running a Mad Max themed one-shot RPG and have started to paint some Poundshop cars for the players. Your painting is MUCH more subtle, but I am rushing to get them done. I also need to find some spare parts to stick on them. XCOM 2 War of the Chosen is a great game for anyone enthusiastic about murdering aliens by the dozen. Nice cars by the way. Are you just taking matchbox cars and adding your own greebles? @kidkissinger - Yep, both matchbox cars out of the attic. I do a lot of model building, so I've got several boxes of extra bits that I harvest from. The gun is from a Gundam model kit, and the engine and roof bottles are from another Gundam weapon that I pulled apart. The hood ram is from an option parts set that I hacked up. I recently got a PS VR headset ($162 on eBay! Score! 😃) and have been overdosing on VR. Star Trek: Bridge Crew, of course, along with as many demos as I can download. I particularly like Thumper, but I missed my chance to buy it on sale. I also got Hatsune Miku Project Diva X, which I've been wanting for a while. I'm not really into rhythm games but I AM into Rock Band. I've also been trying to finish Doom and Ratchet and Clank which I've had for a while. I'm mainly going for the trophies. I'm also a big fan of Rocket League, but it's been a while since I last played. All of that has to be put on the back burner while I work on the SimpleSandbox, though. 😃 I play to relax when I've been coding too long and my eyeballs are turning square. RE: Gaslands. I never heard of the game before now, but back in my RPG days I set up a short campaign with my usual crew (including my sister and current wife) based on Car Wars rules. It started out with a typical arena duel, but turned into a cross-country convoy carrying a secret cargo across the United States with mysterious enemy forces trying to stop them. The players THOUGHT they were escorting a tanker truck, but that turned out to be a red herring. I was being experimental back in those days. We played a lot of Toon, and one game in particular the players were a team of teenage supernatural investigators posing as a rock band. 😃 That was years ago, though. Nowadays we have enough trouble getting together for Artemis. I've hosted far more Artemis than I've played. 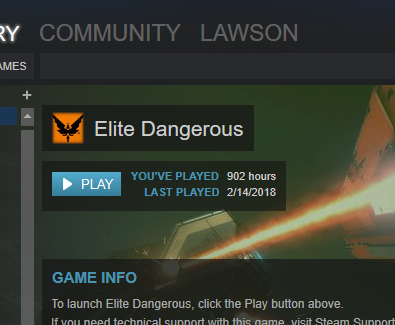 So the game I've played the most? That Last Played date is 100% wrong, probably because I've been skipping the Steam launcher. But you get the idea. Would love to see your game rules! I'm using "Furious Roads" because it's a nice simple, d6lite system. 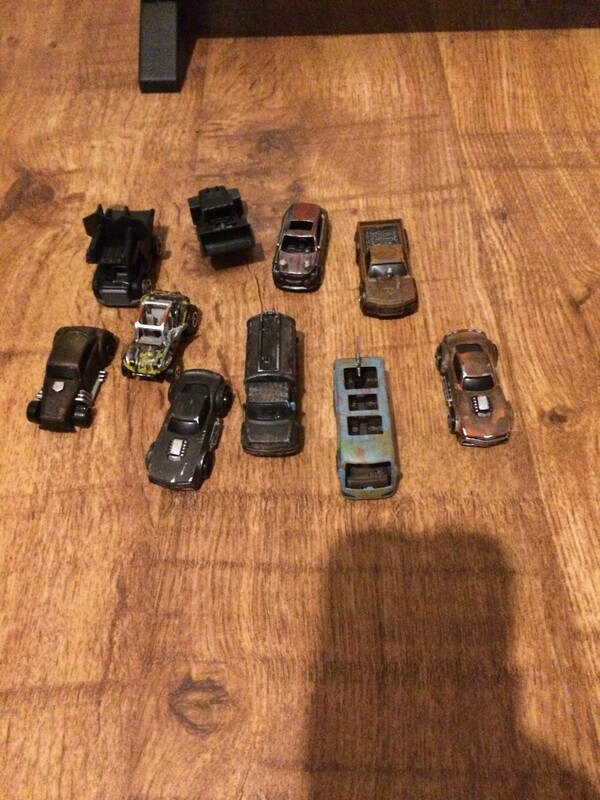 Quick update on the cars for my Furious Roads Game. I bought a cheap tub of 70 plastic soldiers and have started dismembering them for decorations. The soldiers are the worst moulded things you can imagine, but some of their bits are ok, if you squint. Not sure if these additions will survive being packed in a box, but we'll see.